How IIoT Solutions Make You Look “Smart and Cool” for the Water Industry? The term Internets of Things (IoT) was coined by Kevin Ashton in 1999 and the big corporate players like Google, Facebook, Apple, Samsung and LG have been practicing it for years. In recent years, it has become a hot topic and IoT ‘tech’ has started to flood the market. Now, every ‘Thing’ would need to look smart and cool, hence not only has the phone started to “think and talk”, the Smart Devices, Smart Appliances, Smart Home, Smart Car, Smart Factory, Smart City are starting to form a Smart World. How can the Water Industry catch up with this “smart” trend? Let’s see what have the big players done so far. GE has launched Predix, a cloud-based platform that enables asset functionality monitoring. IBM® Intelligent Water software has been developed to deliver smarter water management through insights from data to help utilities manage pressure, detect leaks, reduce water consumption, mitigate sewer overflow, and better manage their water infrastructure, assets and operations. According to US Environmental Protection Agency (EPA), the researchers at Clemson University are building the “Intelligent River” to provide real-time monitoring, analysis and management of water resources. Of course, it would be cool if we can apply Industrial Internet of Things (IIoT) across entire assets, collect the big data from all the facilities perform a thorough analysis in order to find out the insights to improve operational efficiency, enhance productivity and create new opportunities. However, this ideal case unlikely to happen due to the limitations of knowledge, budget, risk, standardization and legacy installed base. I believe a lot of people will agree with me that we need to “start small” for new ventures in order to gain experience, take the calculated risk and predicted outcome. Let me share a case here to demonstrate how we can achieve that in the water industry. A reservoir is surrounded by a few pumps / lift stations; the reservoir is 100km away from the centralized SCADA system. A standalone PLC and Ethernet Remote I/O is in place to control and monitor the water level of both reservoir and pump stations. Kelvin, the Facilities Manager is being assigned to explore the implementation of IIoT within a timeframe of 3 months with budget of less than US$7,000. It should have low cyber security risk, justifiable benefits and consideration of future extension. Kelvin has decided to pursue a simple IIoT project by partnering with an IIoT service provider. They deploy more sensors at field (e.g. weather stations, thermistors, BTU meter) and install a connectivity box next to the PLC. The sensors will collect more data such as temperature, humidity, energy consumption and water quality. The connectivity box can take in additional signals and the I/O is expandable for future extension and the box is designed with unique connector for easy plug and play. The box is also equipped with 4G router in order to send the data back to the centralized SCADA and subsequently send to the IIoT platform securely (data is encrypted). The collected data is in real-time and can be analysed individually (e.g. pump energy usage) and interoperability (e.g. pump can run at lower speed during the hot weather). The analysed data can be used to predict pump failure, save pump energy, early detection of the contamination or give early flood sign. Kelvin has accomplished his mission and now his ‘THINGS’ look ‘smart’. In addition, he can easily communicate with his team about the current status, problem or performance of each facility by using the dashboard and generate a report in the structured data format (e.g. text, graph, image, video) for his management to discuss further improvement or to identify new opportunities. Do you think now Kelvin also looks “smart and cool”? There are plenty of ways for you to implement the IIoT platform depending on your current situation (e.g. remote area, existing with or without SCADA system, multiple sites) and technical and commercial requirement (e.g. cyber security, cloud-based, redundancy, future expansion, budget). 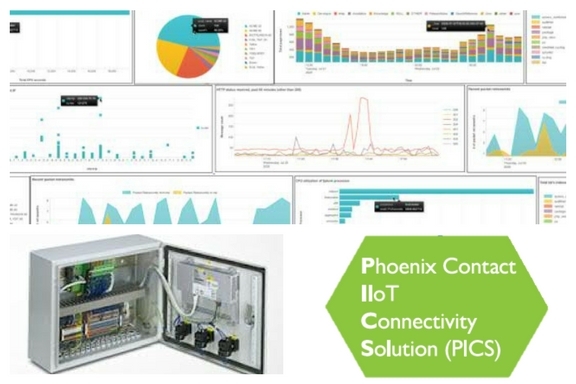 Phoenix Contact offers flexible and customize IIoT solutions inclusive of the connectivity box, please feel free to drop me an email eexinchong@phoenixcontact.com.sg for clarification or discussion. or register for our free e-book. At present, control applications focus not only on reliability but also flexibility. Following current automation trends in automation 4.0, many vendors will need to improve market share in this market segment. Interface data between third-party functions might be considered to develop parallel to improve the product quality. For controller device, we can classify its interface levels into field level and enterprises level. Usually, there are no issues when various controller vendors need to transfer data between one to another at the field control level. This is because there are many common protocols like MODBUS, PROFIBUS and etc to exchange data easily between third-parties. However, it is a different story when there is a need to exchange some data at a higher level like in an enterprise system. A couple of constrains when designing interface system is the data exchange rate and also the time lag which occurs. In order to maintain a high quality data exchange rate, it is often deemed necessary to utilize high-end hardware and software, resulting in a very expensive solution. Phoenix Contact’s controllers, right up from our basic series, have a library which is able to connect directly to a RDBMS database by providing query string patterns like common SQL script. In comparison, other controllers require additional equipment or other APIs to collect data from controller first before sending it to the target database. Easily enable data transfer from the sensor directly to a DB with Phoenix Contact’s Controllers. 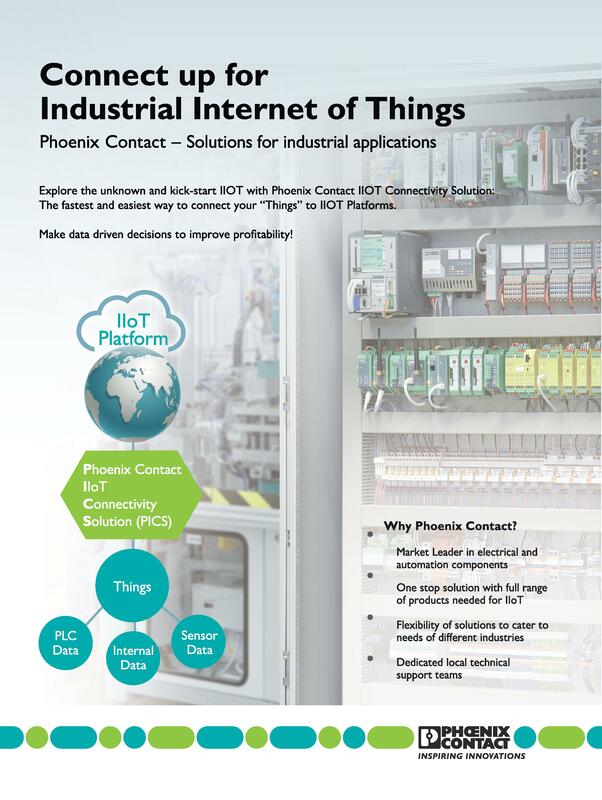 For more information on Phoenix Contact’s Controllers, send me a message and I will get in touch with you soon. As more factories go into automation, more networks and fieldbuses are used for communicating between machines and people. RJ45 is one of the most commonly used connector. It is a type of standard connector for network cables, especially Ethernet. Some of the common issues faced with RJ45 connector include intermittent data. Most RJ45 connectors in the market come with a plastic clip. The plastic clip helps to form a secure connection between the connector and the socket. It also ensures that the connector stays seated on the socket. You would need to exert some pressure on the plastic clip in order to unplug the connector. However, the plastic clip is usually fragile. It breaks easily when bend backwards or when the connector is dropped on the floor. Without the plastic clip, the transmission of data is not guaranteed. The RJ45 would then be used with the nearest trash bin – if you know what I mean. Often times, even when the plastic clip is intact, intermittent data could occur due to vibration from the surrounding machines. Moreover, the process of crimping a RJ45 can be tedious. In order for the connector to function properly, the cable (with as many as 8 cores) has to be crimped into specific standards, namely T568S and T568B, with a special crimping tool. Crimping is a manual process and depends very much on the workmanship of the person who is doing the job. If it is not done properly, the crimp contact will not sit properly within the connector and the data transmission will be affected. Crimping is an irreversible process. If the connector is crimped wrongly, it cannot be un-crimped (word of caution). It has to be scrapped and the damaged cable has to be cut which causes wastage. Problems, problems and more problems. So what’s the solution? At Phoenix Contact we build innovations based on issues that every day people, like you and me, have. Phoenix Contact Industrial RJ45 is equipped with 2 springs at the top of the connector to ensure that the connector is sitting snuggly within the socket, even during high vibration applications (yes, even the extreme ones). Phoenix Contact plastic RJ45 connector is made of special plastic. It could not only bend 180 degree without breaking but it could also resist the impact of dropping on the ground. Phoenix contact QUICKON RJ45 connector allows you to terminate cable without the need to strip the cable and the use of expensive crimping tool. The connector is colour-coded so there is no need to memorise the standards. In addition, the connector is able to reconnect up to 10 times. Meaning to say, there is no need to scrap the connector if it’s connected wrongly. Just follow the simple steps below to terminate the cable. See how easy that was? At this rate you’ll be producing thousands of RJ45 within seconds. So if you’re looking for a reliable and problem-free RJ45 cable, look no further.